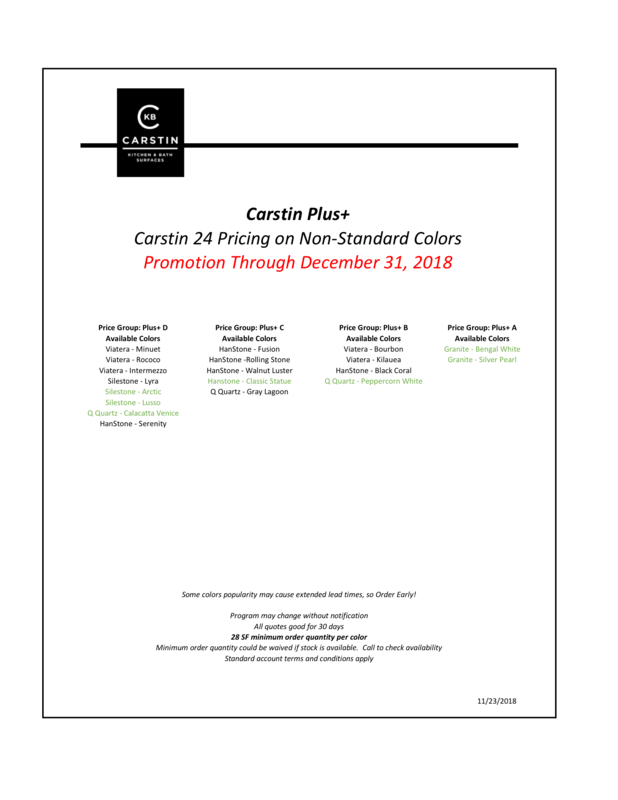 CarstinBrands.com is proud to be the first fabricator to package the hottest colors from our best vendors in easy to select collections at exceptional pricing. 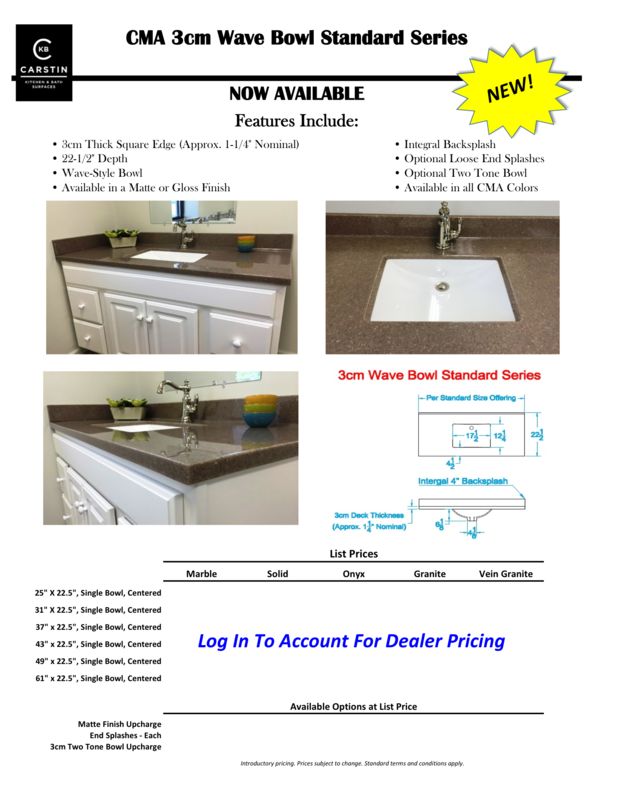 Click on a collection below to view its details. 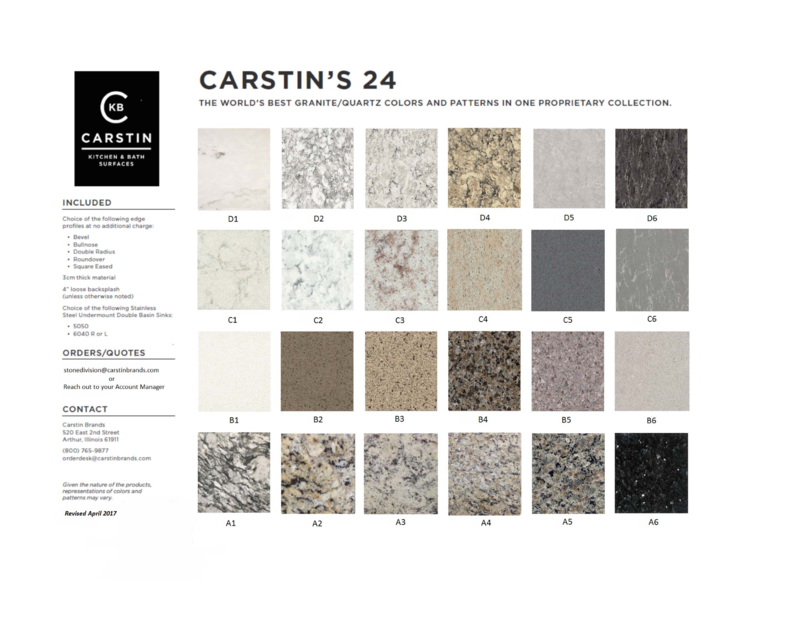 Carstin Brands is only authorized to quote and sell Cambria in Chicago, Northern Illinois, Eastern Wisconsin, and the U.P. 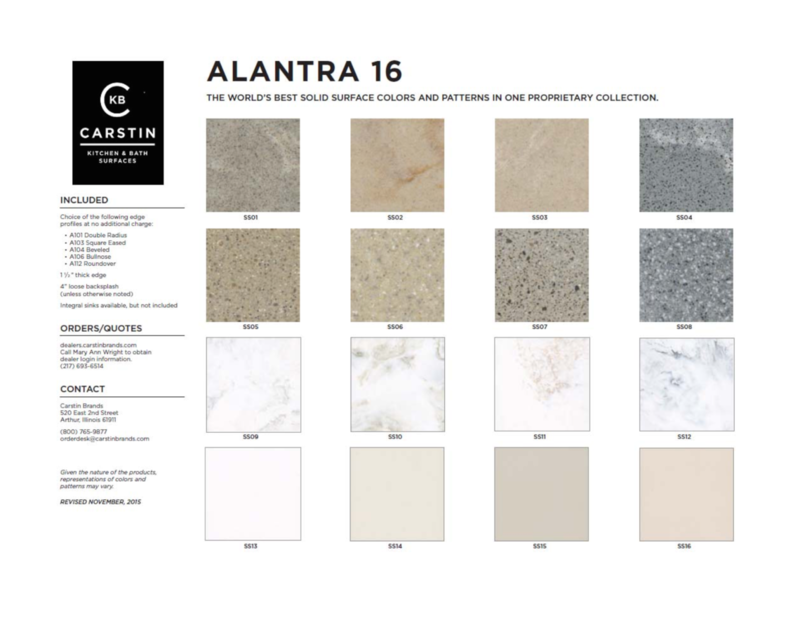 of Michigan. 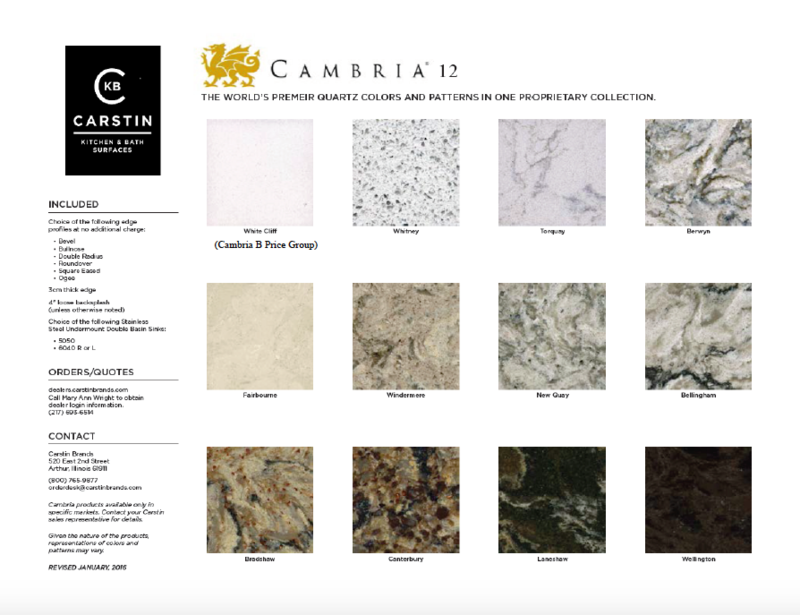 Please contact your Carstin Brands Sales Representative to inquire if you are in our authorized Cambria distribution area.